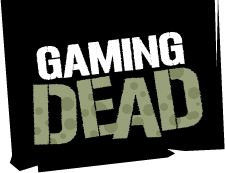 Gaming Dead is now using a categorized rating system for its game reviews. It is our feeling that the merits of a game cannot be expressed as a single number, nor should all games be judged equally on exactly the same criteria. For this reason the overall score of a game is not an average of its ranking in the categorized breakdown. 1 – Game fails on every conceivable level. 2 – Game is mostly not enjoyable. Not worth your money unless you’re a fan. 3- Game has its moments. Not worth its asking price, but a good rental or bargain bin game. 4- Game is worth its asking price and may exceed expectations in some places but fall short in others. 5 – Game is devoid of flaws, polished and fun from start to finish; worth every penny at full price. - This is a game’s technical proficiency in the areas of music, graphics, art and voice acting. These elements are grouped together because they represent the polish on the game’s world which allows us to suspend our disbelief and engage it as a real place. While games like Psychonauts and No More Heroes may not have great graphics, the art and voices have an undeniable style. Conversely Lost Planet 2 may have the shiniest reflective puddles in town but fails on every level to engage thematically. - This is a game’s narrative, pacing, features and, ultimately, its capacity to stay in your memories and on your shelf long after you’ve seen its end credits. Portal 2 with its excellent story and online co-op would score highly here, whereas Dante’s Inferno lacking any multiplayer, replay value or even a decent story would score a 1. - This is how a game controls and how fun it is to exist in the game’s world. Batman Arkham Asylum has fluid controls, animations, and a good upgrade system for its gadgets, giving you the experience of actually being Batman when you hold the controller. By contrast Deadly Premonition’s camera, animations and controls are so poor that it utterly breaks an otherwise enthralling narrative. - This is a summary of the game and its overall review score. This allows some tilt on the part of the reviewer to inject closing comments that may or may not be covered in the above categories.